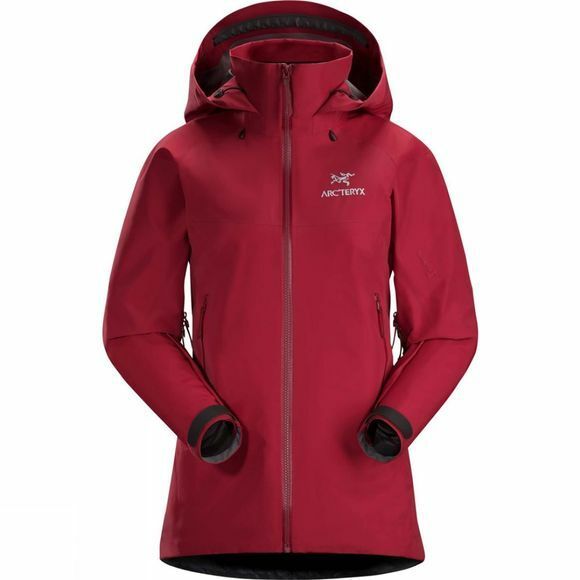 The Womens Beta AR GTX Jacket from Arc'teryx is a mainstay in the Arc'teryx lineup since 2000, the Beta AR is the do everything, most versatile waterproof/breathable jacket for activities in mountain environments. Comfort in storms are the focus of this jacket no matter how extreme with ergonomic hand pockets, a regular fit with a droptail hem to accomodate layering underneath, pit zippers and an internal collar mean that if you're climbing, skiing or simply enjoying the outdoors, you will stay dry in the Womens Beta AR jacket. Benefiting from the highest level of waterproof/breathability performance available, the Gore-Tex Pro membrane is designed to perform reliably in the most extreme circumstances possible, ensuring you have the peace of mind that your equipment won't fail when you need it most. The helmet compatible drophood gives quick storm protection and has been updated to include cohesive cord lock adjusters.